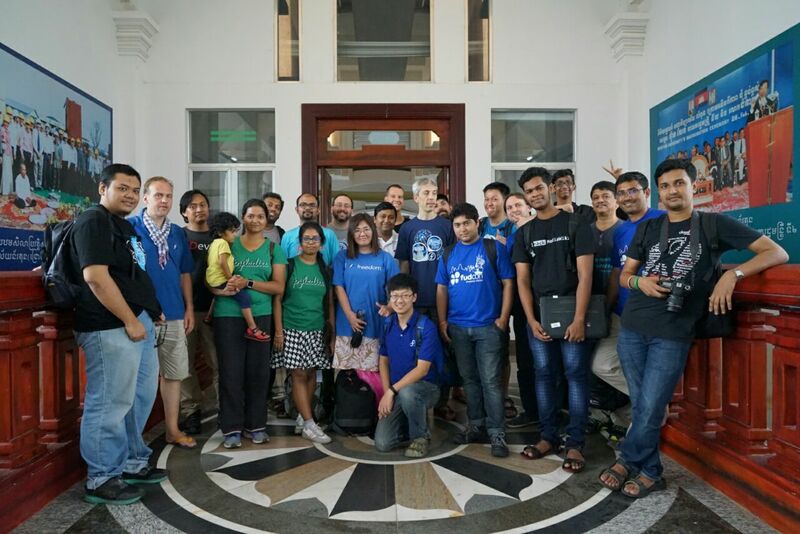 This year FUDCon APAC happened in Phnom Penh, Cambodia for two days 5th and 6th of November. This FUDCon happened as part of bigger conference called as BarCamp, ASEAN 2016. 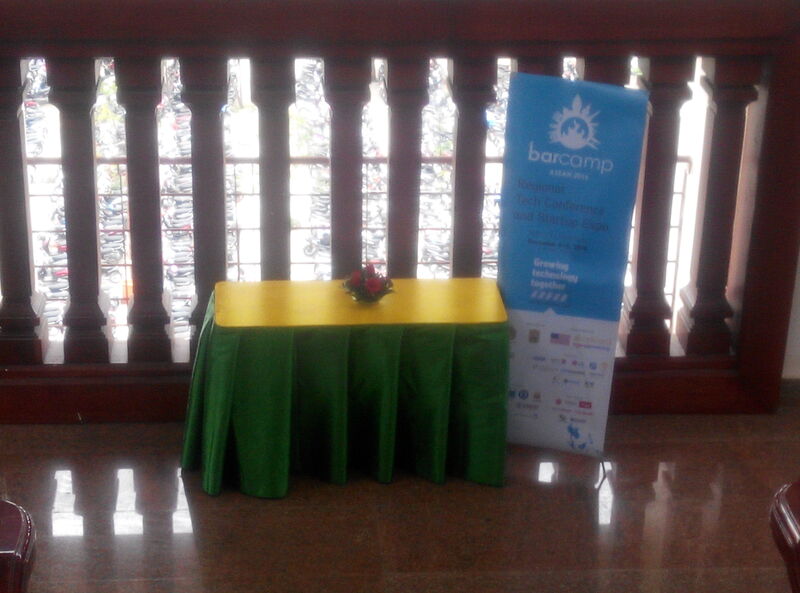 This BarCamp happened at Norton university from 4th to 6th November. On the first day of this BarCamp/FUDCon when we reach to the venue, we found it to be very nice place, full of people like students, volunteers, banners of BarCamp everywhere. 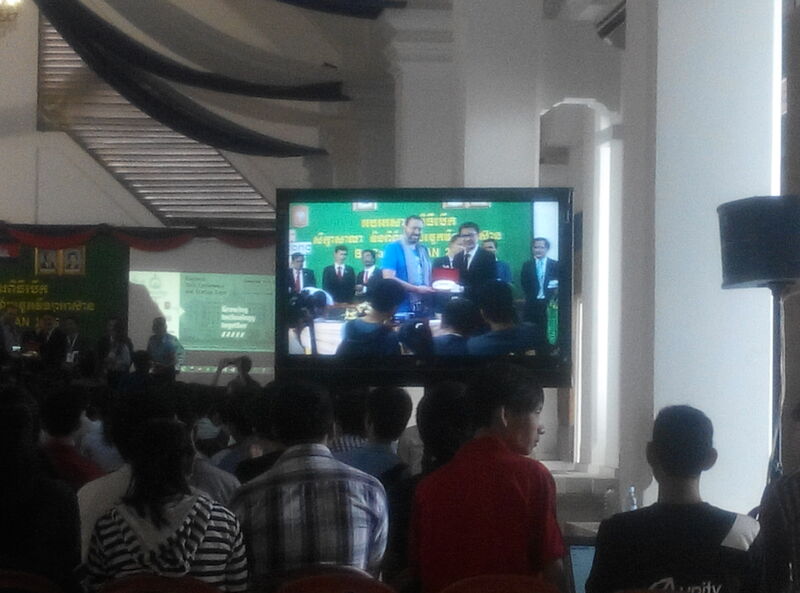 It was a five floor building and the inauguration talk happened at the top 5th floor where all the honourable guests including Brian Exelbierd, Fedora Community Action and Impact Coordinator talked about FOSS. The actual FUDCon talks were started by 11.00 AM on the second floor. We got mostly 3 parallel talks on both the days. The talk selection was good it covered all the areas where Fedora is growing. I attended the first talk by Kanika on “Programming with Rust” where she explained about Rust, how to install it on Fedora, write a program in Rust and compile it, run it. Then we had a nice lunch. The second talk was by me on “How to Globalize your software?” where I explained what globalization is, its advantages and disadvantages. I also gave a link to my github project where people can clone it and take the small exercise stepwise to learn on how to add globalization to any software. Then I attended Alex Eng’s “Zanata – Translation Platform” talk where he explained nicely about Zanata platform, its upcoming features, different Zanata instances and Zanata client tools. That concluded first day of the FUDCon. The second day started early at 9 AM. It was raining heavily and it continued till the evening. The first talk I attended was by Noriko on “How you can help us get Fedora to World?” where Noriko gave a talk on how translators can help to translate Fedora. 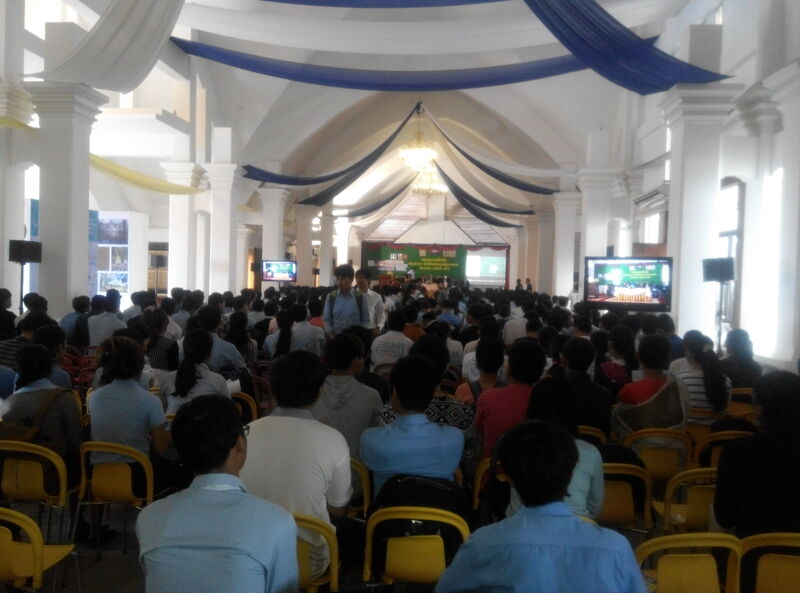 During the talk Sirko gave an overview of Asian countries and their translation teams status. It was a useful discussion that provided the current situation of translators and what more need to be done to increase the translators. Then the next talk was by Sayan who explained “Exploring Fedora Infrastructure” by giving examples of Fedora applications Hubs and Pagure, their coding design, some common functions used in both application codes, alembic usage etc. Kushal gave talks on “Testing Fedora Atomic hosts in an automated way” where he gave demo of how Tunir tool can be used to test Fedora Atomic hosts and how he got an idea to develop Tunir. We break for lunch and then I attended “Fedora QA” talk by Sumantro where he gave overview of Fedora QA, testing process, bodhi and its usage. The next talk I attended was again by Kushal on “Writing your first automated test for Fedora Atomic” where he explained how to write tunir tests. The last talk of the day for me was given by Jens Petersen on “Flatpak applications for general distribution” where Jens explained flatpak concept, its usage, sandboxes, how to build any flatpak app. That concluded last day of the FUDCon. I did miss some talks as I attended other talks at the same time. 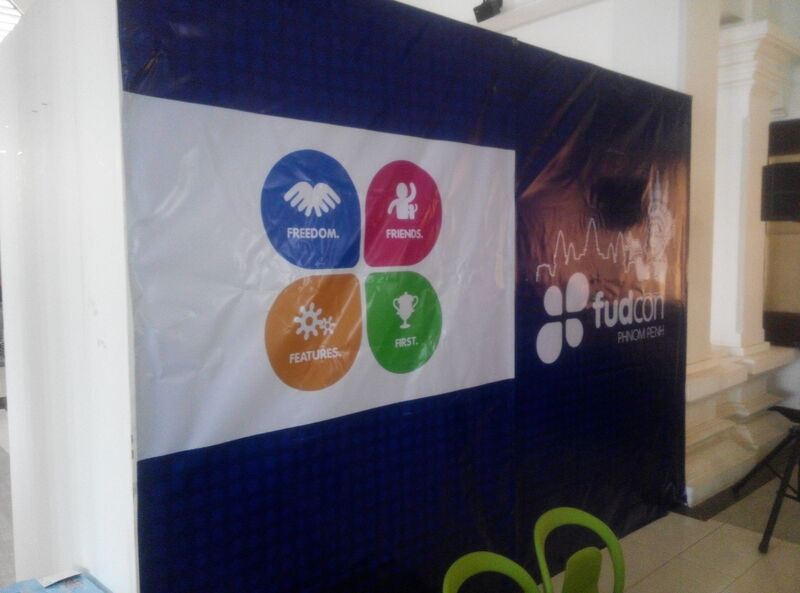 We then immediately moved to FUDPub venue where we had our social event. It was a nice place. Volunteers used to paste the talk information page to room door just at the start of the hour. Also, thanks to BarCamp organizers who gave some gift to the session speaker at the end of their talk. Thanks to FUDCon organizer Sirko Kemter for giving me the opportunity to speak at the FUDCon APAC event and thanks to Brian for quick processing of the travel funding. I also would like to thank Yekleang Dy for her help in organizing local logistics for this event.